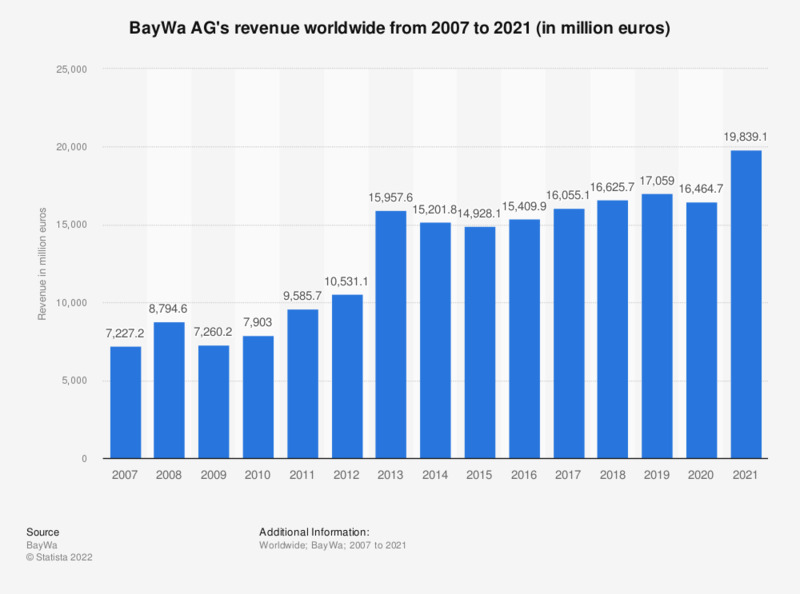 This statistic shows BayWa AG's revenue from 2007 to 2018. In 2007, BayWa generated a total revenue of around 7.2 billion euros. BayWa AG is a retail and agribusiness company, based in Munich, Germany. The company operates in the agriculture, building materials and energy sectors. Figures prior to 2016 were taken from previous annual reports.